Our final stop on our Custom Tour with Circle Island Tour in 24 was Likeke Falls. 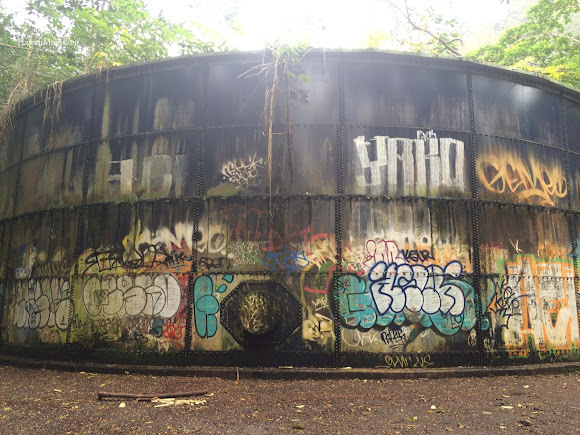 We started at the entrance near Koolau Golf Club, and we quickly came upon some cool sights - a heavily graffitied water tank, as well as view of the Pali Puka from a distance. 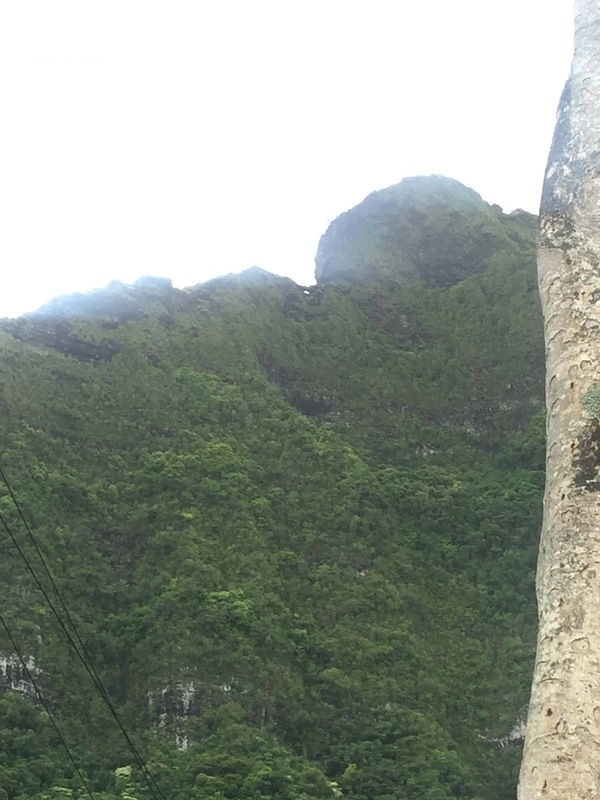 Can you see the puka? 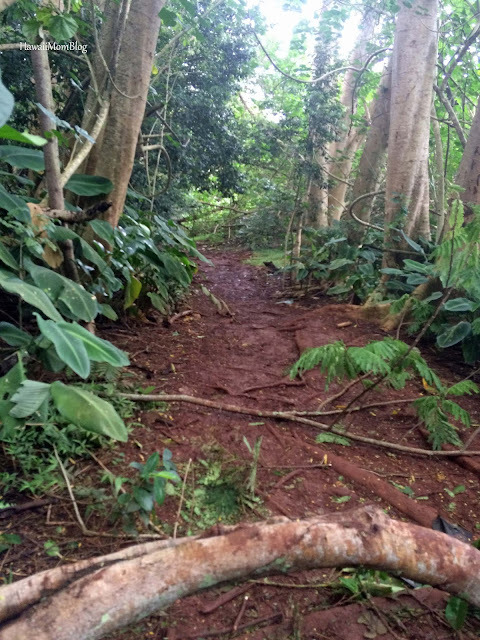 The trail itself was extremely muddy due to all of the morning rain. 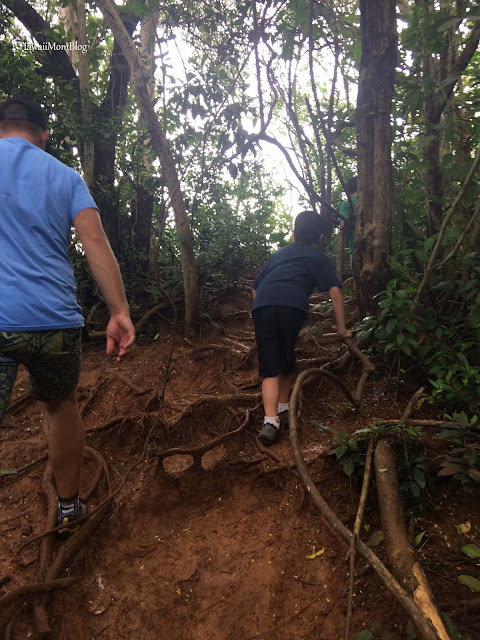 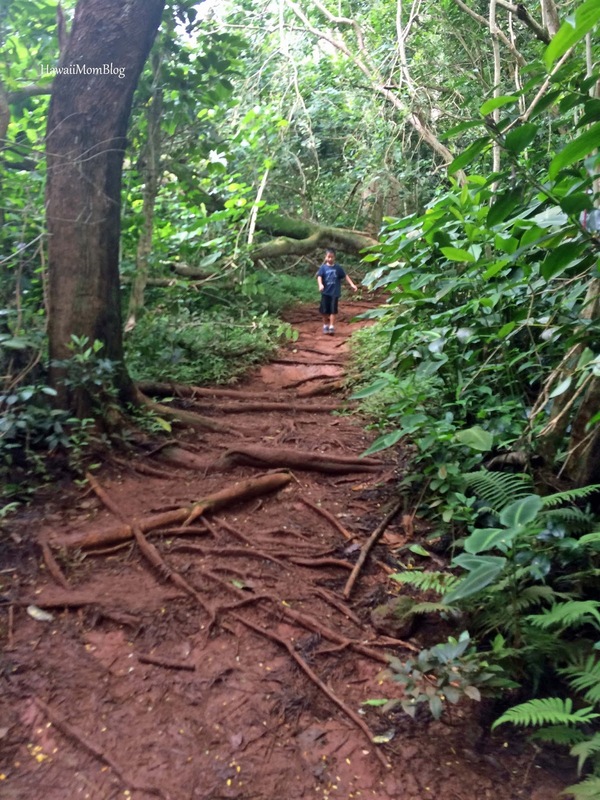 There were slippery rocks, jutting roots, and a maze of branches to navigate through at different points on the trail, but for the most part, the hike was fairly easy for the kids. The less-than-ideal conditions resulted in a few falls and even mosquito bites (we did put on insect repellent! 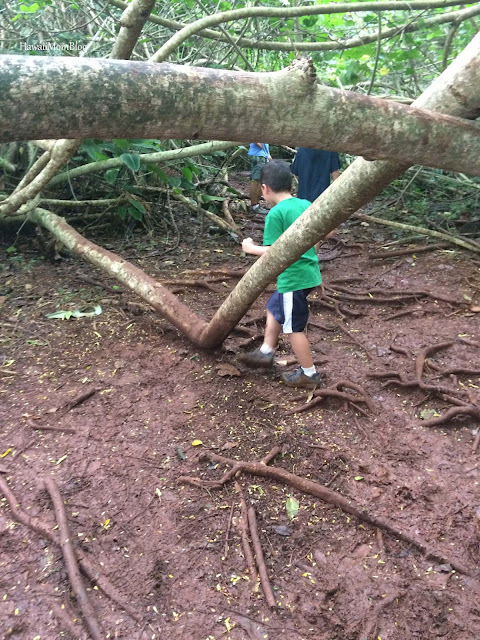 ), but we were all excited to see the waterfall, and didn't let the mud, scrapes, and bites deter us. 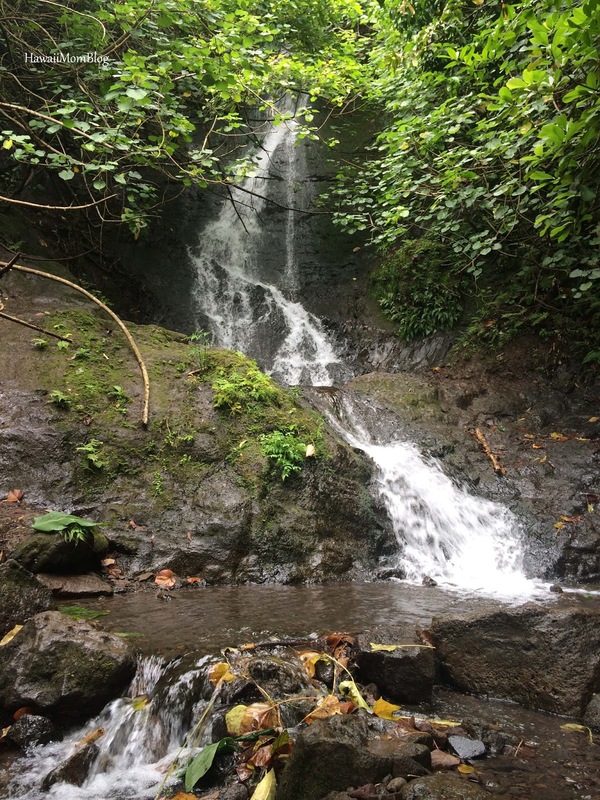 It's always magical to see a waterfall, and Likeke Falls did not disappoint. 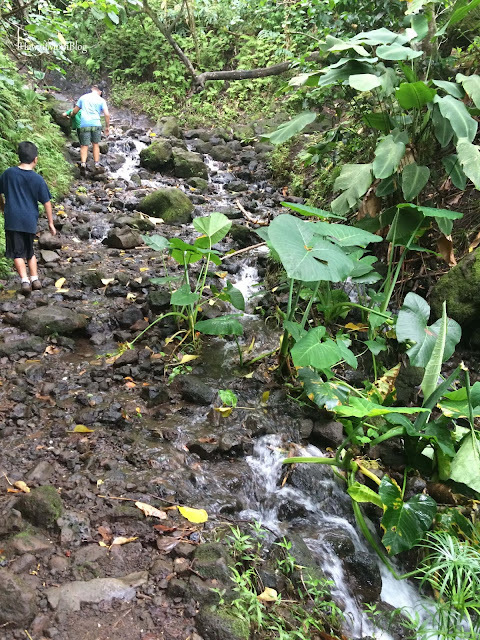 After taking some obligatory family photos and snaps of the waterfall, it was time to make our way back to the start of the trail. The return trip resulted in more slips, more muddy shoes and clothes, and more mosquito bites, but it was a rewarding hike, and we all enjoyed this new adventure. 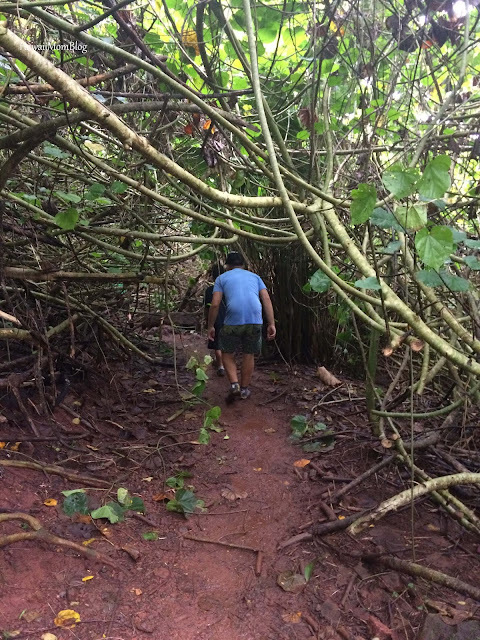 The hike took almost an hour round-trip, and although the earlier rain made hiking conditions a bit difficult, as Dan, the owner of Circle Island Tour in 24 commented, "More rain = more impressive waterfall." 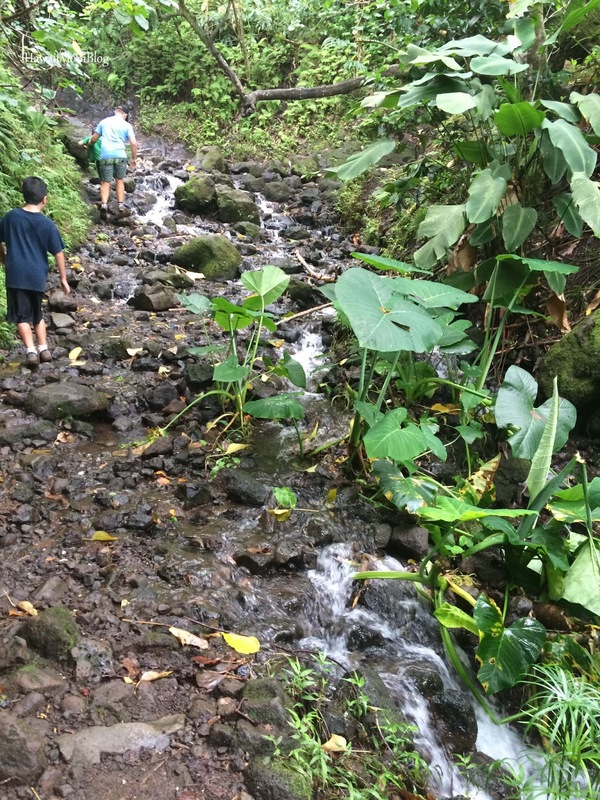 A hike to Likeke Falls was the perfect ending of our Custom Tour with Circle Island Tour in 24. Stay tuned to find out more about Circle Island Tour in 24.